When it’s Sunday and you have bacon leftover, what else can you make? 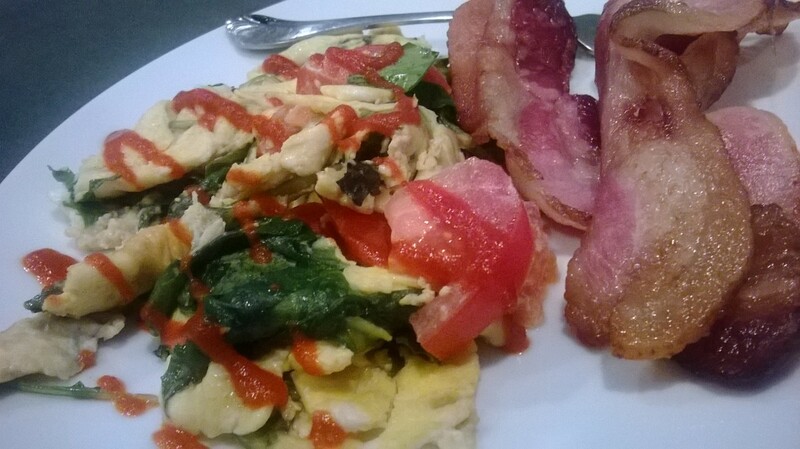 Eggs with some spinach and tomatoes (plus Sriracha!) 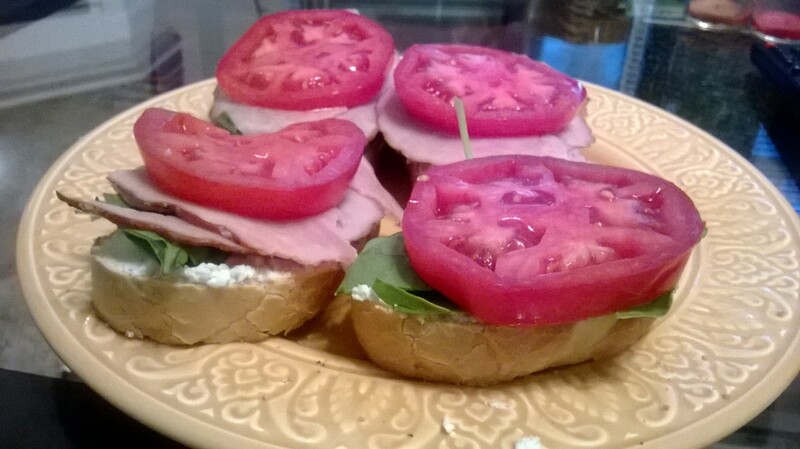 to go with fatty, uncured, delicious bacon. It’s easy, uncomplicated and flavorful. Less time cooking, more time eating. You are true to your name. 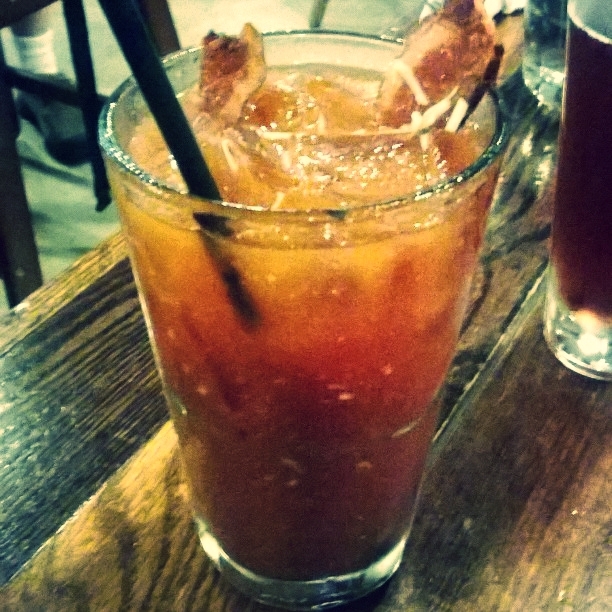 Smooth, spicy, bacony: What else could you ask for in a Bloody Mary? Where have you been all my life? As a brunching connoisseur, my main goal in life is to brunch the hell out of a town, but lately I’ve found it difficult – not to say that there isn’t some delicious brunch here. Oh no, there is but it’s not its own category. But this. 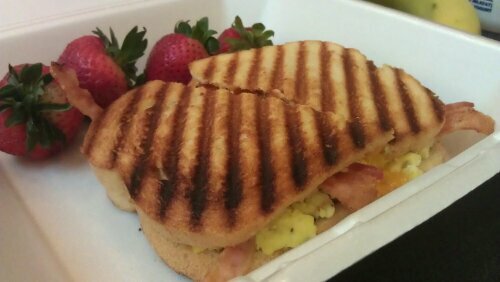 The Roost is a brand new haven for brunch and the answer to all my breakfast prayers. 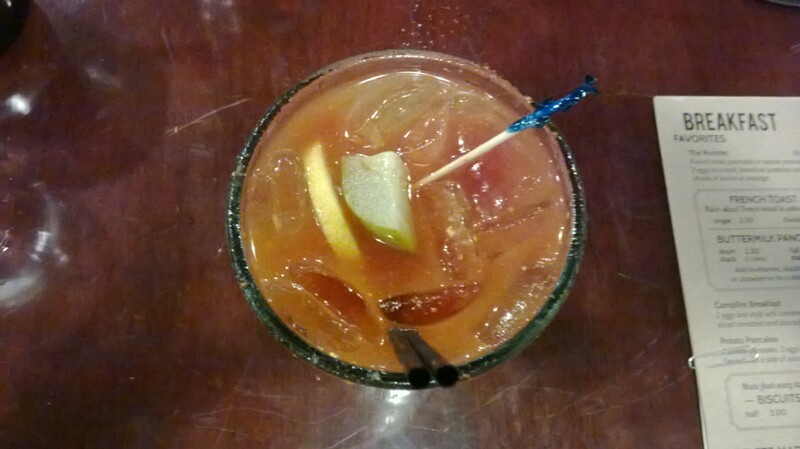 First, you have a bloody mary menu with six options. I chose the NoLaw (North Lawrence), which featured local pickles (pickled by the owner himself), the perfect blend of spices and garlic. 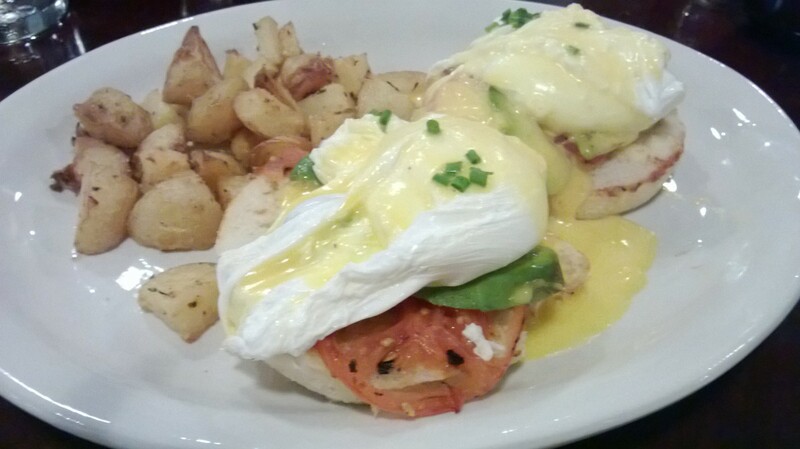 Then came the tomato + avocado benny. I can’t come up with the words to describe it’s perfection and flavor. I remember having to consciously keep myself from inhaling it (ladies don’t scarf food, no matter how scarfable it may be). But the best part? That I get to come back and visit you again. And again. And again.